Giuseppe Sinopoli (Italian pronunciation: [dʒuˈzɛppe siˈnɔːpoli] ; 2 November 1946 – 20 April 2001) was an Italian conductor and composer. The Conservatorio di Musica Benedetto Marcello di Venezia is a conservatory in Venice, Italy named after composer Benedetto Marcello and established in 1876. Ernesto Rubin de Cervin Albrizzi was an Italian composer and teacher. In music, serialism is a method of composition using series of pitches, rhythms, dynamics, timbres or other musical elements. Serialism began primarily with Arnold Schoenberg's twelve-tone technique, though some of his contemporaries were also working to establish serialism as a form of post-tonal thinking. Twelve-tone technique orders the twelve notes of the chromatic scale, forming a row or series and providing a unifying basis for a composition's melody, harmony, structural progressions, and variations. Other types of serialism also work with sets, collections of objects, but not necessarily with fixed-order series, and extend the technique to other musical dimensions, such as duration, dynamics, and timbre. The New Venice School is a movement in contemporary music in Venice from the 1970s to the present, made up of composers directly influenced from teachings at the Venice Conservatory of the distinguished composer and pedagogue Baron Ernesto Rubin de Cervin (Albrizzi), who studied under Luigi Dallapiccola in Florence and Goffredo Petrassi in Rome. His many students include the composer and conductor Giuseppe Sinopoli (1946–2001); the composer and teacher Marino Baratello ; the composer Claudio Ambrosini ; and the Amsterdam-based, English composer Geoffrey King. Although not directly influenced by the legacy of Rubin de Cervin and the above-listed lineage, other Venetian composers were influential in the development of new music in Venice, namely Bruno Maderna (1920–1973) and Luigi Nono(1924–1990). Hans Swarowsky was an Austrian conductor of Hungarian birth. Sinopoli was appointed principal conductor of the Philharmonia in 1984, and served in this position until 1994, making a number of recordings with them, including music by Elgar and the complete symphonies of Mahler. Sinopoli was supposed to take over the position of chief conductor at Deutsche Oper Berlin in 1990. However, even before the start of his term he receded from his contract. He became principal conductor of the Staatskapelle Dresden in 1992. He also joined the Bayreuth Festival's roster of conductors. He is best known for his intense and sometimes controversial interpretations of opera, especially works by Italian composers and Richard Strauss. Sinopoli specialized in late-nineteenth century and early-twentieth century music, from Wagner and Verdi to Strauss, Mahler and the Second Viennese School. His conducting was the object of much controversy, especially in the symphonic genre, with some berating the "eccentricity" of his interpretations, while others praised the insightfulness of his often intellectual approach to works. Sir Edward William Elgar, 1st Baronet was an English composer, many of whose works have entered the British and international classical concert repertoire. Among his best-known compositions are orchestral works including the Enigma Variations, the Pomp and Circumstance Marches, concertos for violin and cello, and two symphonies. He also composed choral works, including The Dream of Gerontius, chamber music and songs. He was appointed Master of the King's Musick in 1924. Sintassi Teatrali (1968): “Frammento n. 48 da Alcmane” , “ Frammenti n.2-4-80 da Saffo”, “ Stasimo IV ed Esodo da Edipo Re di Sofocle”. Sunyata, Thema con varianti per soprano e quintetto d’archi su testo di Kridaya Sutra, (1970). Numquid et unum per clavicembalo e flauto (1970) dedicato a Franco Donatoni. Numquid per oboe, corno inglese, oboe d'amore (1972) , dedicato a Lothar Faber. Per clavicembalo (1972), dedicato a Mariolina De Robertis. 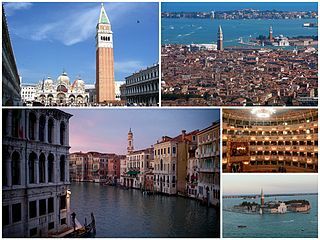 Pour un livre à Venise per orchestra (1975). Prima raccolta: Costanzo Porta I – Contrappunto primo (dal Mottetto Gloriosa Virgo Caecilia di Costanzo Porta) II – Hommage à ---- Costanzo Porta III – Canzone “La Gerometta” ( doppio coro ) ( da Costanzo Porta). Requiem Hashshirim per coro a cappella (1976), dedicato a Paul Beusen. Archeology City Requiem per orchestra (1976) Prima esecuzione Parigi, 31 gennaio 1977, inaugurazione del Centro Georges Pompidou. On 20 April 2001, Sinopoli died of a heart attack at the age of 54 while conducting Giuseppe Verdi's Aida at the Deutsche Oper in Berlin. The performance was supposed to serve as a reconciliatory appearance and dedicated to the memory of the company's late chief director, Götz Friedrich. Two nights later, Marcello Viotti stepped in to conduct Aida, and dedicated his performance to Sinopoli's memory. The funeral in Rome on 23 April was attended by the Italian President and Prime Minister, as well as a large contingent from La Scala. He was survived by his wife Silvia and two sons. His books include Masterpieces of Greek Ceramics from the Sinopoli Collection. He died two days before receiving his Laurea in Archeology at Università La Sapienza in Rome. Ariadne auf Naxos, Op. 60, is an opera by Richard Strauss with a German libretto by Hugo von Hofmannsthal. Combining slapstick comedy and consummately beautiful music, the opera's theme is the competition between high and low art for the public's attention. Friedenstag is an opera in one act by Richard Strauss, his Opus 81 and TrV 271, to a German libretto by Joseph Gregor. The opera was premiered at Munich on 24 July 1938 and dedicated to Viorica Ursuleac and her husband Clemens Krauss, the lead and conductor respectively. Strauss had intended Friedenstag as part of a double-bill, to be conducted by Karl Böhm in Dresden, that would include as the second part his next collaboration with Gregor, Daphne. The opera thematically expresses anti-war sentiments, which William Mann has described as "a determined counter to the militaristic policies of Nazi Germany". These caused the work to be shelved after the outbreak of World War II. Antonín Leopold Dvořák was a Czech composer, one of the first to achieve worldwide recognition. Following the Romantic-era nationalist example of his predecessor Bedřich Smetana, Dvořák frequently employed rhythms and other aspects of the folk music of Moravia and his native Bohemia. Dvořák's own style has been described as "the fullest recreation of a national idiom with that of the symphonic tradition, absorbing folk influences and finding effective ways of using them". Every October since 2005, Taormina Arte has dedicated a festival to Giuseppe Sinopoli, the artistic director of the Music section of the Taormina Festival from 1989 to 1997. The Giuseppe Sinopoli Festival celebrates the man not only as a musician and as a conductor but also as a composer, a doctor, an archaeologist and intellectual, with a variety of events from music and literature, theatre and art to conferences, exhibitions, publications and concerts. Every year the Festival welcomes important orchestras to Italy. On the occasion of the first edition of the Giuseppe Sinopoli Festival the Sinopoli Chamber Orchestra was formed, in collaboration with the Conservatorio “Arcangelo Corelli” of Messina. The Orchestra, made up of young talented musicians, both pupils and teachers of the Conservatorio, mostly performs works by Giuseppe Sinopoli. Gian Francesco Malipiero was an Italian composer, musicologist, music teacher and editor. Giuseppe Sarti was an Italian opera composer. The Orchestra dell'Accademia Nazionale di Santa Cecilia is an Italian symphony orchestra based in Rome. Resident at the Auditorium Parco della Musica, the orchestra primarily performs its Rome concerts in the Auditorium's Sala Santa Cecilia. Yoritsune Matsudaira was a Japanese composer of contemporary classical music. Roberto Carnevale is an Italian composer, pianist and conductor. The Orchestra Sinfonica di Milano Giuseppe Verdi is an Italian orchestra based in Milan. The orchestra refers to itself as La Verdi colloquially. The orchestra's primary residence is the Auditorium di Milano Fondazione Cariplo. Lorenzo Regazzo, is an opera singer. His voice can be categorised as bass, bass-baritone or basso cantante. He is especially well known for interpreting Baroque, Classical, and bel canto repertoire. Among the qualities frequently noted by the critical press are his virtuosic coloratura technique, sumptuous tone, and vivid stage presence. Argippo is an opera libretto by Domenico Lalli, which in Giovanni Porta's setting premiered in Venice in 1717. Claudio Nicola Stampa's reworked version of the libretto was set as L'Argippo by Andrea Stefano Fiorè. This opera was performed in Milan in 1722. Giuseppe Scarlatti was a composer of opere serie and opere buffe. He worked in Rome from 1739 to 1741, and from 1752 to 1754 in Florence, Pisa, Lucca and Turin. From 1752 to 1754, and again from 1756 to 1759, he worked in Venice and for short periods in Milan and Barcelona. In 1760 he moved to Vienna, where he enjoyed the friendship of Christoph Willibald Gluck. "The third most important musician of his clan", it is still uncertain whether he was the nephew of Alessandro born 18 June 1723 or the nephew of Domenico born in 1718. Giuseppe Scarlatti was married to the Viennese singer Barbara Stabili who died about 1753. By 1767 he had married Antonia Lefebvre, who that year bore him a son; she died three years later. Scarlatti died intestate in 1777 in Vienna. Giulio Castagnoli is an Italian composer. Dario Bisso Sabàdin is an Italian Conductor, Composer, Musicologist and Guitarist. Marcello Bernardini was an Italian composer and librettist. Little is known of him, save that he wrote 37 operas in his career. His father was most likely the composer Rinaldo di Capua. Guido Rimonda is an Italian violinist and conductor. Filippo Maria Bressan is an Italian conductor. Claudio Capponi is an Italian film composer, music arranger, orchestrator, music producer and violist. Fernando Mencherini was an Italian composer of chamber works who reached musical prominence before his early death. ↑ David Nice (23 April 2001). "Obituary: Giuseppe Sinopoli". The Guardian. Archived from the original on 2008-02-20. Retrieved 2007-07-15. ↑ "Stick to your guns". The Guardian. 24 August 2001. Archived from the original on 2008-02-20. Retrieved 2007-07-15. ↑ Andrew Clements (21 December 2001). "Handle with care". The Guardian. Archived from the original on 2008-02-20. Retrieved 2007-07-15. ↑ Tim Ashley (30 November 2001). "Radical visions". The Guardian. Archived from the original on 2008-02-20. Retrieved 2007-07-15.